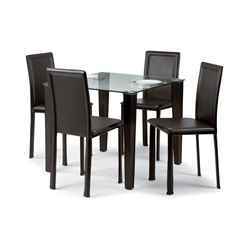 The Quattro set price includes a Quattro Square Glass Table and 4 Faux Leather Quattro Chairs. 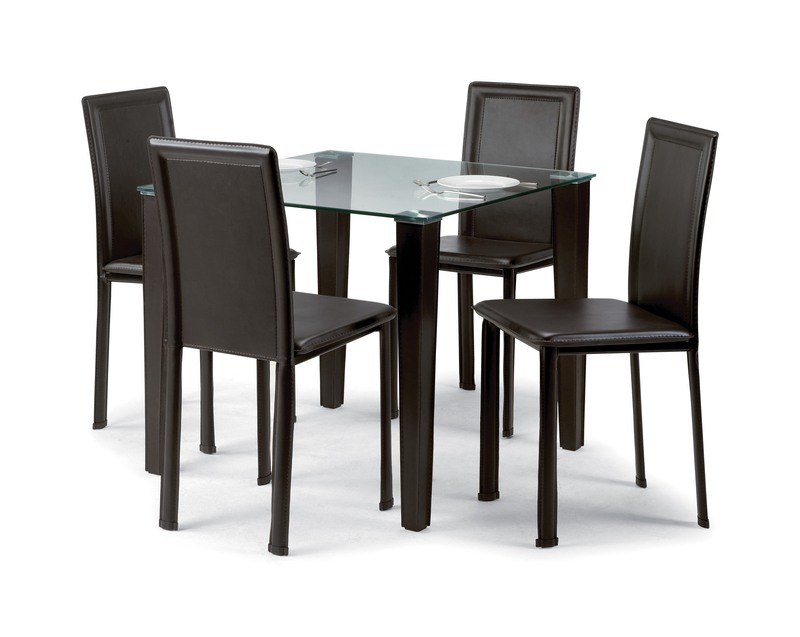 The table's glass top is easy to clean and maintain and the faux leather legs are both sturdy and attractive. 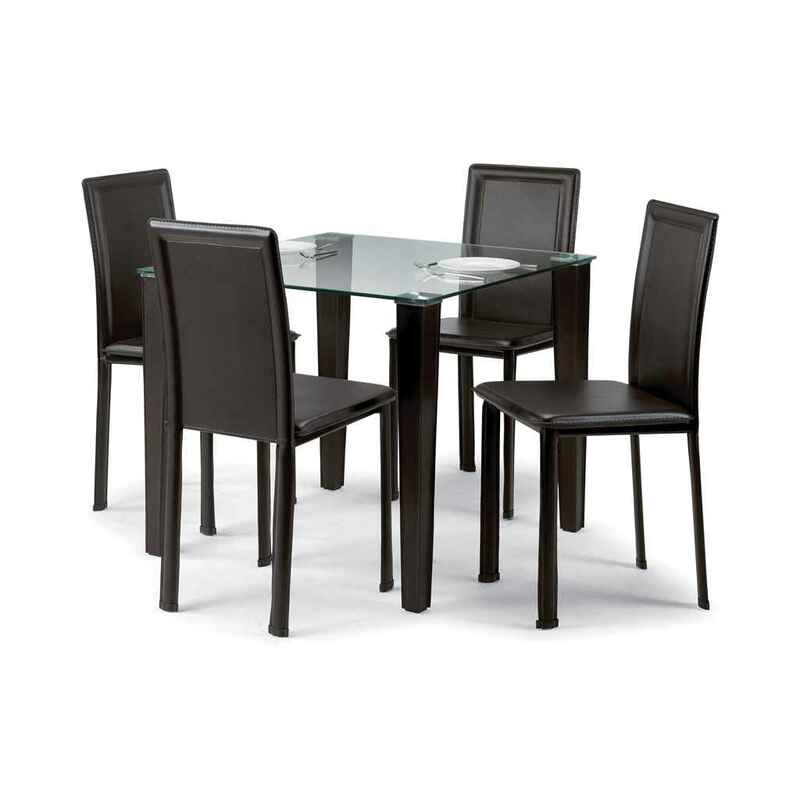 The chairs are the perfect accessory to the table and the dining set is a chic, modern feature of any home.